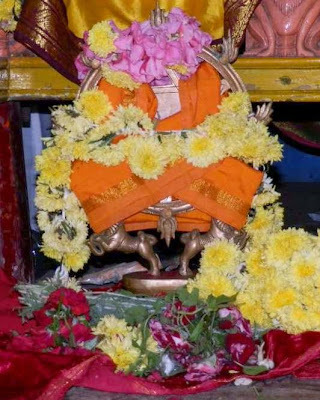 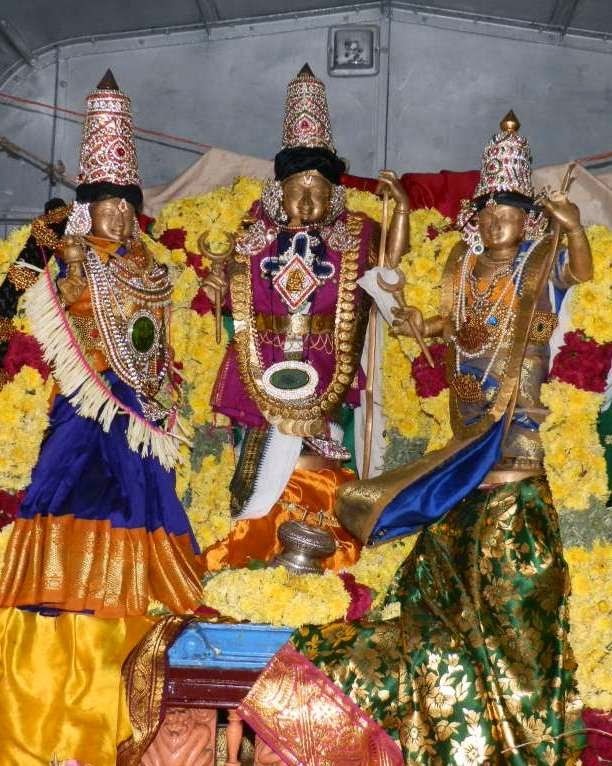 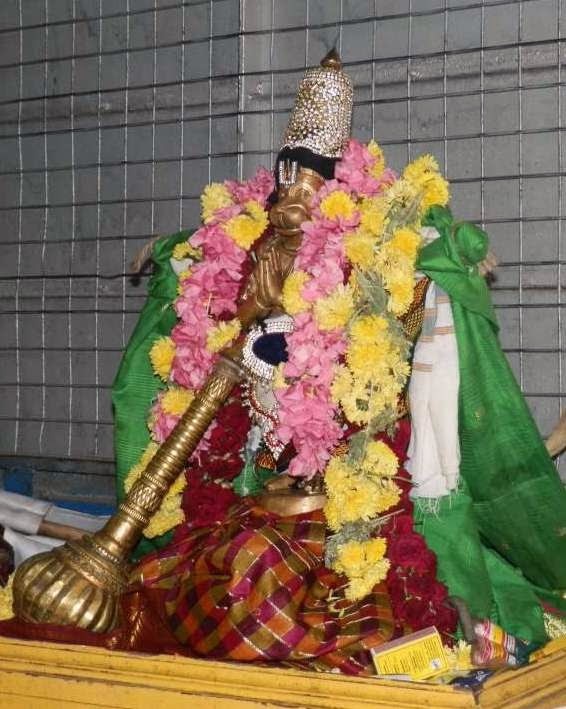 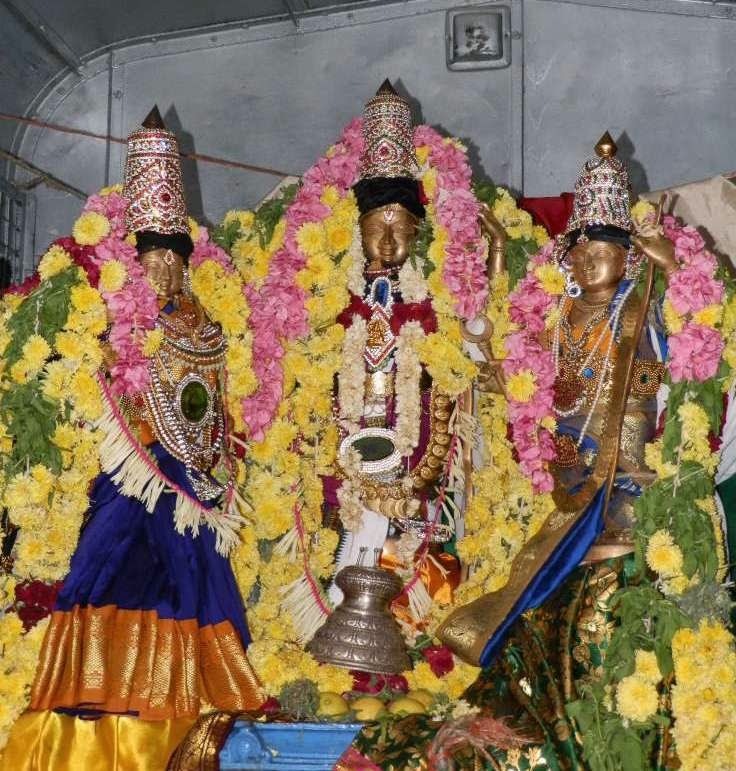 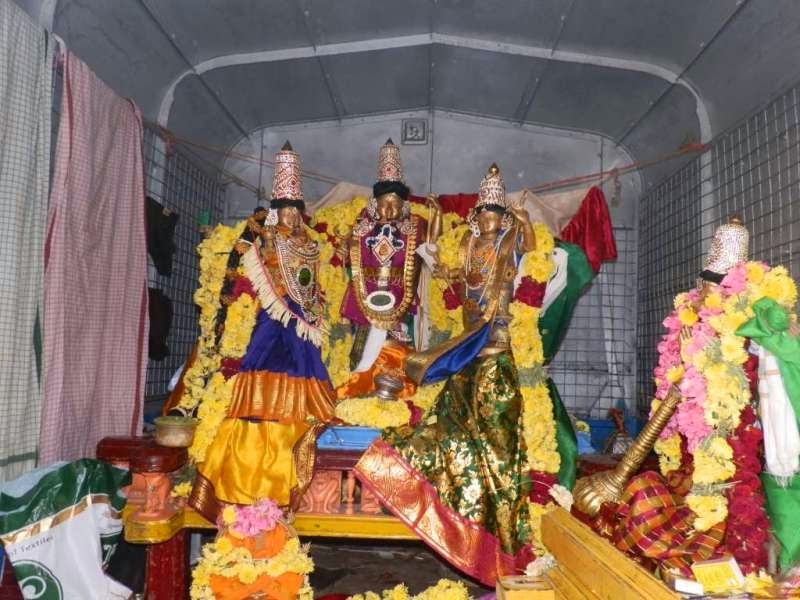 Nearer Poonamallee and Mangadu, in a village called Khiz Ragunathapuram is the temple called “Hanumantha Swamy temple”. Read that here in the temple Lord Anjaneya carrying the Sanjeevi Paruvatham Hills is depicted and the Ramar is ‘Anugraha Ramar’. This temple reportedly is centuries old. 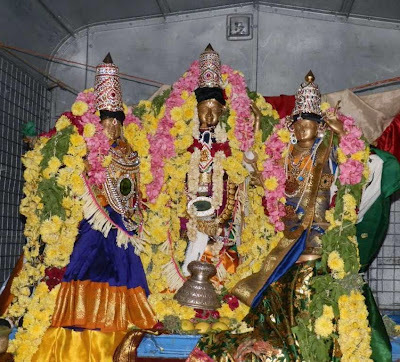 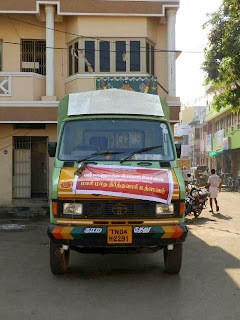 Lord Ramar of this temple was taken on purappadu on the occasion of Masi Magam [yesterday – 25th Feb 2013] and He was returning to his temple and many of Triplicanites were fortunate to have His darshan and be blessed. 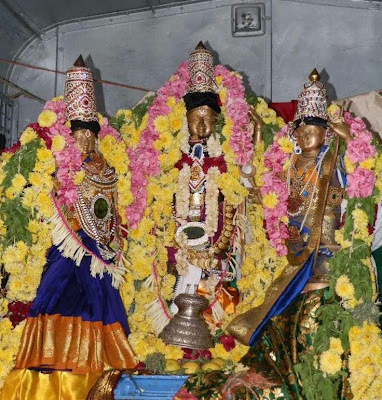 Here are some photos of Lord Rama, Sita, Lakshmana and Anjaneyar.